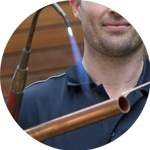 Looking for a plumber in Tower Hamlets? 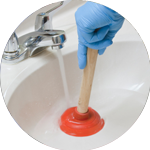 Our London based plumbing team is here to give you a helping hand with all your plumbing needs, such as leaking pipes or blocked toilets. 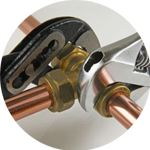 Maybe you need a new tap installed or a radiator repaired? The Handy Squad has been helping Londoners since 2005, so no job is too big or small for our highly skilled team. 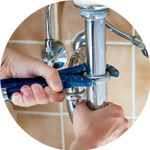 Why not give your local Tower Hamlets plumber a call? Tower Hamlets, a London Borough in East London, covers most of the East End of the capital. The borough lies on the north of the River Thames and is home to a big part of the renowned Docklands region of London, which is fast becoming a major European financial centre. The borough takes its name from the association between the Tower of London and the hamlets that surround it. Tower Hamlets offers a variety of cultural events and has many green open spaces, including Victoria Park, the borough’s oldest and largest park, Mile End Park and Bethnal Green Gardens. No matter where you are in the borough our team can reach you in no time. 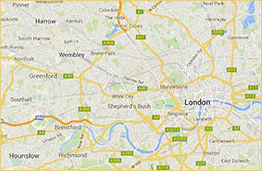 The Handy Squad covers the whole of Tower Hamlets, from Canary Wharf to Poplar and Whitechapel, as well as its neighbourhood areas, such as City of London. Our team specialises in replacing washing machines, repairing leaks, installing white goods appliances, unblocking basins and much more. If you are looking for other handyman services, our Handyman London team offers moving services, carpentry, jet washing and much more.